Oppo might not be a major player in the smartphone market just yet, but their ability to produce quality phones at affordable prices, including the R15, will see it win many new fans worldwide. If looks are important to you, and you want your smartphone to be distinctive, you must check out the R15. 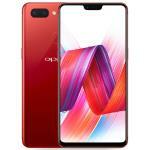 Oppo worked with an award-winning designer to help develop some new colour styles for the rear, including Nebula Purple, Rogue Red and Ruby Red. These phones really stand out! While the first appearances are promising, thanks to those vivid colours, there's also lots to like about the R15's more serious features. For example, it has 6 GB of RAM and a whopping 128 GB of storage. The Oppo R15 has a 20-megapixel front facing camera and dual rear cameras, combining 16 megapixels and 5-megapixel sensors. Oppo and Sony co-developed the IMX519 sensor which gives superior images when photos are taken in low-light or backlight conditions. Video footage on the R15 is also receiving good reviews for its clarity. Don't let the bright colours make you think the R15 is all show and no performance. The phone has a MTK Helio P60 processor which operates very impressively and efficiently.